There they stood shoulder to shoulder, several dozens of them, dressed in rubber shark costumes with the dorsal fins cut off. 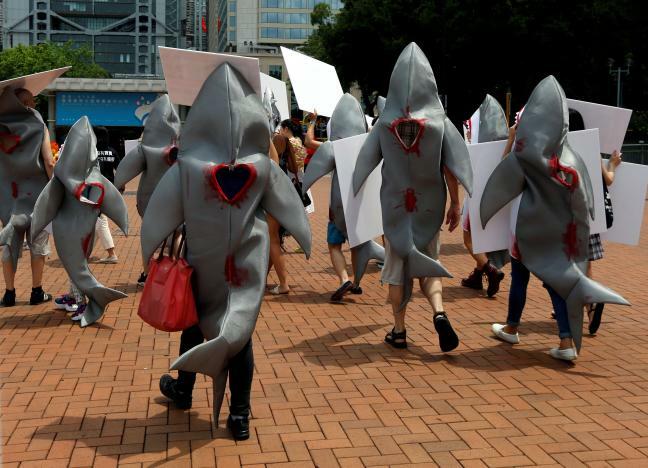 The activists who gathered outside a high-end restaurant in Hong Kong Harbor bore placards and shouted “stop selling!” They meant shark fin soup, which remains a popular dish in China. The protest was organized by the conservationist group WildAid to raise awareness of the world’s sharks, some 70 million of which are being killed for their fins every year. Local conservationists say that concentrated campaigns against shark fin soup has led to a 40% drop in the consumption of the status dish over the past five years. Similar campaigns, if not necessarily so in-your-face, by Malaysian conservationists have also been bearing fruit in this country as well. Scores of restaurants around Malaysia have pulled shark fin soup off their menus and many more are likely to do so in the face of continued wildlife protection advocacy and awareness campaigns. Recently, Hilton Hotel Kuching has teamed up with the Wildlife Conservation Society Malaysia so as to publicize the existential threats sharks and stingrays are facing in Malaysia because of unsustainable seafood consumption habits in the country. Leading Malaysian conservationists, too, continue to speak up on behalf of the ocean’s beleaguered residents. “Healthy oceans are critical for sustaining life, eliminating poverty and promoting prosperity. Oceans and seas are also the largest carbon dioxide sink,” Mohamed Idris, president of Sahabat Alam Malaysia in Penang, observes in a recent op-ed, reeling off a litany of threats to our oceans and their inhabitants: overfishing, plastic waste, water pollution, coastal development, climate change. 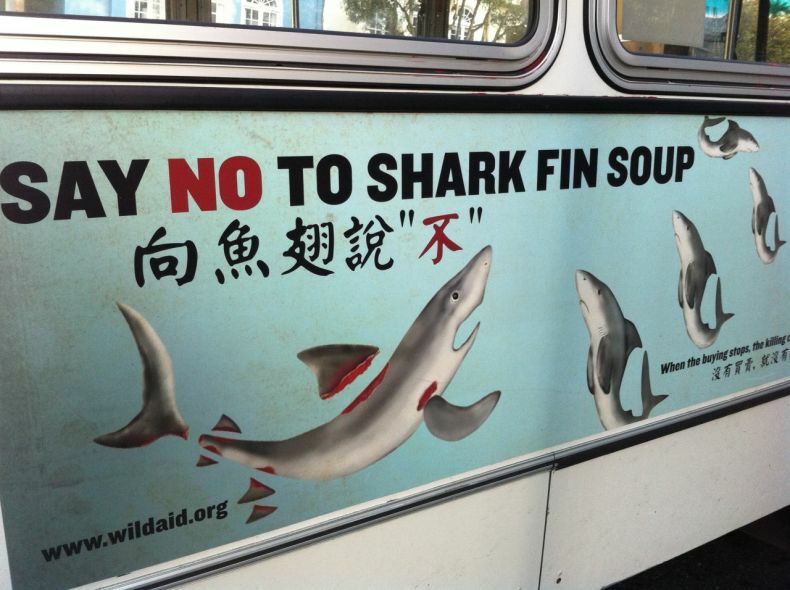 If we all say no to shark fin soup, we can make a big difference. If we make sure that our actions do not contribute, either directly or indirectly, to any further harm to the world’s oceans, we can make an even bigger difference.